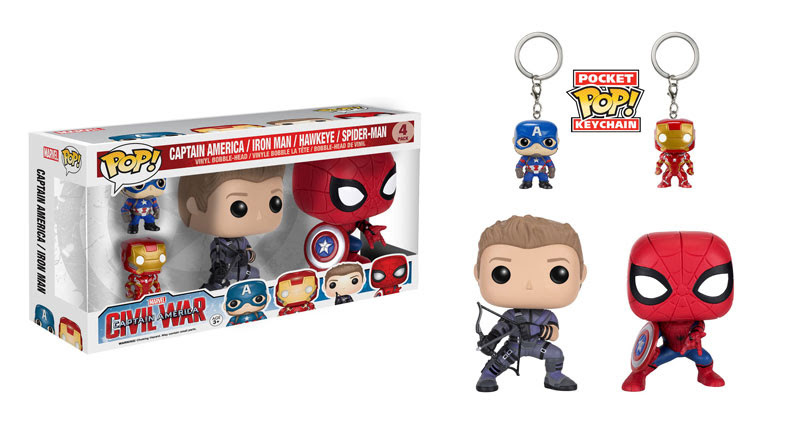 Spider-Man and Hawkeye join the Captain America: Civil War Pop! line in a never-before-seen two Pop! and two Pocket Pop! Keychain bundle! 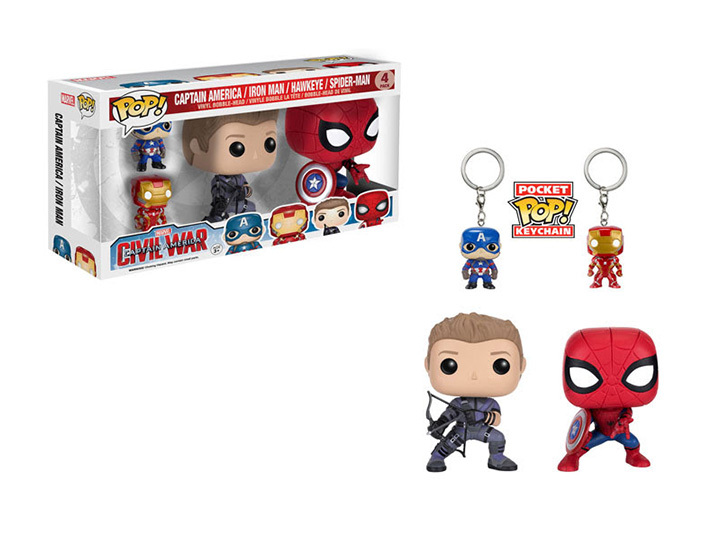 No matter which side you choose, these bobble-heads are essential for any Marvel collector!